A free asbestos management resources package that offers trade-specific advice has been launched to improve regulatory compliance and reduce asbestos exposure. Paul Skelton reports. 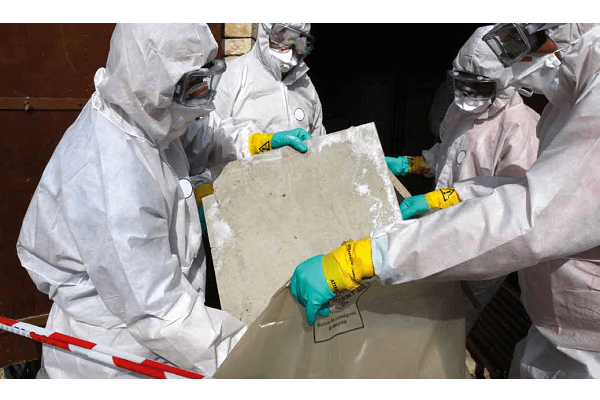 With widespread usage of asbestos-containing materials (ACMs) across a range of commercial and non-residential properties before 31 December 2003, strict regulations for asbestos management are in place. However, compliance has sometimes proven challenging for the sector. To address the need for improved, safer management of asbestos in commercial and non-residential properties, Australia’s leading national asbestos awareness campaign has developed a free, user-friendly asbestos management resource package to improve regulatory compliance across the sector. “Having developed and managed the campaign since 2010, each year we’ve continued to grow the campaign (within budget constraints) and developed free resources for trades and home owners that can be downloaded from asbestosawareness.com.au,” says Insight Communications managing director Clare Collins. For tradies, rather than bog them down with information they don’t need, Clare and her team created a series of useful documents focusing on the real issues and clarifying the facts that tradies need to know to ensure compliance. “Tradies are busy people who just want to get on with the job. However, to ensure they have all the information they need, in 2016 we developed user-friendly guidelines tailored for them,” Clare says. “There are a number of resources for tradies on the website including A Tradie’s Guide To Safe Practices In Managing Asbestos In Residential Properties, fact sheets and trade-specific check lists because when tradies go into residential properties, they need to know where asbestos might be located and how to identify it to ensure they manage it safely. “However, there was also the need for user-friendly guidelines for those working in the commercial and non-residential property sector. Clare says a large part of the problem stems from complex information that’s not easy to follow. “A lot of people just don’t understand the technical jargon within the regulations,” she says. “Most tradies know that they need to comply but to do so, they must refer to various regulatory documents including the Work Health and Safety Act, regulations and the codes of practice in place for the removal and management of asbestos. “For those not necessarily experienced in reading complex documents, it can be difficult to find the information they actually need; with some finding it easier to ignore the issue and the regulations and sadly put their health and the health of others at risk. Developed in consultation with stakeholders and in line with regulations, the new Asbestos Management Handbook for Commercial & Non-Residential Properties, template and fact sheets package are now accessible to a broad audience including, builders, contractors, subcontractors, tradespeople, workers, property owners, agents and managers. “We know that asbestos-related diseases are preventable. The only factor involved in people developing these diseases is the inhalation of asbestos fibres. So for us the priority is, first and foremost, to save lives,” Clare says. “But how do we do that? Well, it’s all about education. We must continue to develop accessible resources that make it easier for people across the board to manage asbestos safely. “In an ideal world we’d be able to remove every ounce of asbestos from properties. However, with asbestos remaining in one-third of Australian homes and in many commercial and non residential properties, we have a long way to go before this dream becomes a reality. When the Insight Communications team started developing the Asbestos Awareness Campaign, Clare says she was amazed at how reluctant some people were to talk about the current issue. “One of the challenges was the fact that for many, ‘asbestos’ was a dirty word – It was a thing of the past so often they’d stick their heads in the sand and ignore the warnings. “That’s why it was so important to us to develop vital information that’s presented in an easy-to-digest, user-friendly format so people can absorb and use it, rather than putting asbestos management in the ‘too hard basket’,” she says. At asbestosawareness.com.au people can access practical step-by-step guidance on how to adhere to regulations while managing asbestos safely including how to develop and maintain an Asbestos Management Plan, an Asbestos Register, the training requirements for workers, defined Asbestos Inspections, Surveys, Risk Assessments and the requirements when asbestos removal is undertaken. The best part about the site is that all content on asbestosawareness.com.au is free for anybody to access. Perhaps most impressive, though, is the online database. People can search by product type; by room or structure to learn what asbestos looks like and where it might be located. Given the insidious nature of asbestos, and how avoidable asbestos-related diseases are, every contractor and tradie worth their salt will understand exactly how important this resource is. It really isn’t a reach to say that nowadays, downloading a simple PDF could save your life.